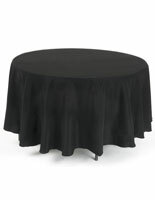 This banquet round table cover is an essential part of the presentation of any dining area or exhibition hall. 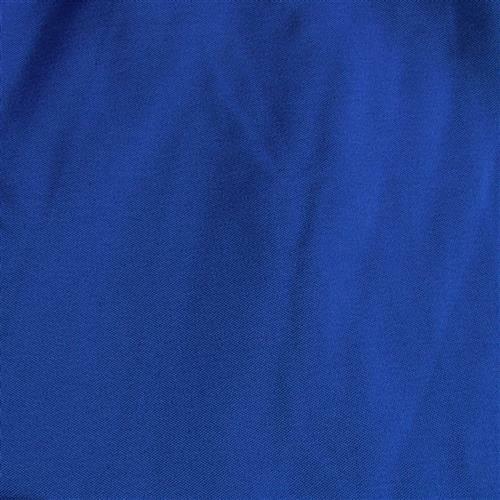 These tablecloths will ensure the tabletops at your next exhibition, banquet, or wedding look great! 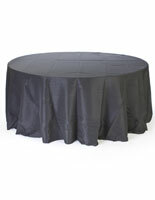 With an 11 ft. diameter this banquet round table cover is intended for tables 30" high and 72" across. This tablecloth will drape to just above the floor. 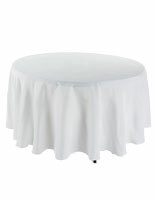 This banquet round table cover, also known as a tablecloth, is designed to drape over all sides of the table evenly. This hanging design is convenient and keeps the legs out of sight without the use of a skirt. Each banquet round table cover like a tablecloth or runner, looks best when it fully covers the legs of a table, as this table skirting does. In addition to a beautiful design, these tablecloths are constructed for durability and repeated use! 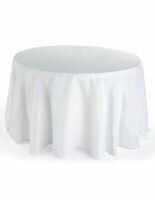 A polyester construction makes this banquet round table cover ideal for repeated commercial use. No more costly dry cleaning charges or rental fees! This tablecloth, banquet table cover is machine washable, and wrinkle resistant. A warm iron may be required to remove some stubborn wrinkles. 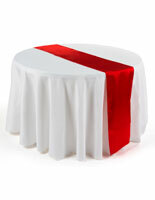 We offer each banquet round table cover made from polyester because that is what most customers demand. 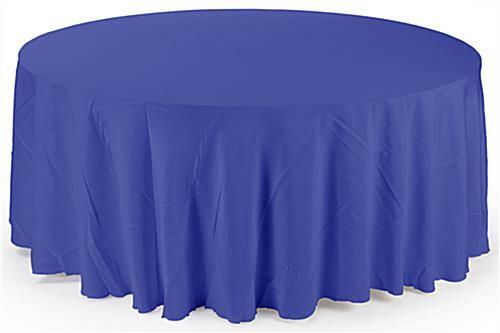 These tablecloths cost a fraction of the price that other linens made from other materials do. 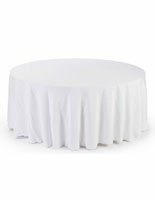 Commercial grade style and quality, combined with a discount price, makes this banquet round table cover an incredible value!